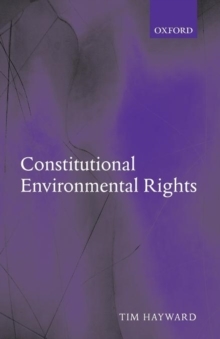 Should the fundamental right to an adequate environment be provided in the constitution of any modern democratic state? Drawing on precedents from around the world, this book provides the first politically-focused analysis of this pivotal issue. Hayward compellingly demonstrates how the right is both necessary and effective, conducive to democracy, and serves the cause of international environmental justice.